This website grew out of a graduate tax class I taught at Golden Gate University's tax program several years ago. The site provides you with all sorts of background on S corporations, including do-it-yourself downloadable kits. 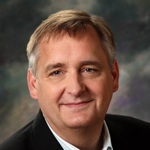 But before you start poking around the FAQ (a great place to dig deeper into subject matter), let me give you some background information on Subchapter S corporations. I make this point again and again at this website, but as you begin your research let me clear up a point of confusion: An S corporation is not really a corporation. Here's the history so this statement makes sense. 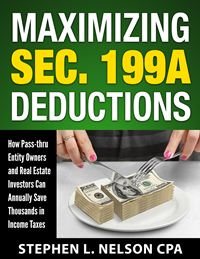 Congress added Subchapter S (the relevant chunk of tax law) to the Internal Revenue Code more than fifty years ago in 1958. This subchapter, which was based on a proposal from President Eisenhower, gave corporations with just a handful of individual shareholders the option to be taxed like partnerships. This meant among other things that the corporation wasn't taxed on its profits. Rather, the corporation allocated its profit to its owners, and then the owners got taxed. At the time, only corporations could make the election to use the "partnership-like" accounting rules contained in the new Internal Revenue Code sections. But that wasn't a problem when, for all practical purposes, only sole proprietorships, partnerships and corporations even existed for business tax law purposes. Predictably, people started calling these corporations which made the election to use the rules "Subchapter S corporations" and then, later, "S corporations" or "S corps". But all along, these entities were really just small corporations that used a set of tax accounting rules found in a subchapter of tax law. When state legislatures started allowing people to form new-and-improved business entities like limited liability companies, the IRS decided to allow these entities to also use the same "Subchapter S" accounting rules if they wanted. Note: The Wyoming legislature was the first to create the laws that allowed for a limited liability company, and did so in 1977. Over the next two decades, roughly, every other state as well as the District of Columbia followed suit. Once the IRS opened the door to this option, not just corporations but also LLCs and even other esoteric entities like limited liability partnerships began making the election to use the Subchapter S accounting rules. Today, accordingly, you hear people use the phrase "S corporation" to refer not only to corporations that use the Subchapter S accounting rules, but also to limited liability companies and even other entities like limited liability partnerships that use the same rules. We talk in more detail about how the Subchapter S accounting rules save taxes in many of the FAQ articles. But for the great bulk of small business owners, the tax savings stem from a reduction in payroll taxes. You can (and should) read more about this topic here but let me give you a quick description with round numbers. If you're a sole proprietor making $100,000 a year in profits or a partner in a partnership and your share of the profits equal $100,000, you might pay about $12,000 in income taxes and about another $13,000 in self-employment taxes. If you incorporate the business or reform it as a limited liability company and then elect to use the Subchapter S accounting rules, you will still pay the same $12,000 in income taxes on the $100,000 of profits. But you will only pay self-employment taxes on the part of the profit you call "wages". If you call only $40,000 of that $100,000 "wages," you will pay employment taxes not on the full $100,000 of profit but rather only on the $40,000 of wages. Self-employment taxes (as well as the equivalent Social Security and Medicare taxes), run about 13% (after making some adjustments you don't need to worry about right now). But you see where the savings come: If a business owner avoids that 13%-ish employment tax on $60,000 of profits, the savings roughly equal $7,000 to $8,000 a year. 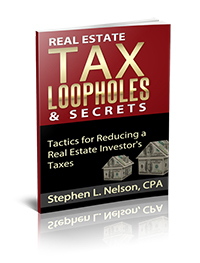 Will S Corporation Loophole Ever Be Closed? Let's broach one other issue--the possibility that the Subchapter S tax accounting rules will be removed from the Internal Revenue Code. The possibility exists. A couple of times in recent years (mostly seriously in 2010), Congress discussed the idea (see here, for example). But the "loophole" has been around for decades. Further, the "loophole" has been repeatedly discussed and then re-affirmed by Congress many times over the last half century. My feeling? You and I should totally expect that politicians (both Republicans and Democrats) will continue to debate Subchapter S loophole regularly. But I will predict that just as they have done countless times in the past, they will in the end decide to continue the loophole they themselves created. If you know you're ready to set up an S corporation, you can click on your state name in that list that runs along the left edge of the window. That'll take you to a page that describes the steps for setting up an S corporation in your state and provides an inexpensive downloadable kit you can purchase if you think you need help. Can I, though, make a suggestion? Don't rush into the S corporation decision just yet. Take the time to read through most or even all of the FAQ articles. An S corporation can save a small business owner a lot of taxes. Thousands of dollars a year. But only if you get the entity set up correctly. And there are some traps you want to avoid and troubles you want to sidestep. If you want additional information about how to maximize the tax savings related to running a business or investment venture, you may also be interested in one of our downloadable e-books (see descriptions below). Each book covers a category of tax planning topics that easily save a business owner significant amounts of income or self-employment taxes (potentially thousands of dollars a year) and is instantly downloadable. 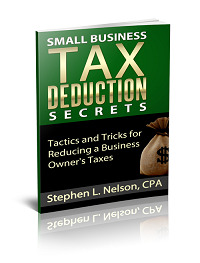 One of the most powerful tactics for saving small business taxes is maximizing your deductions. You can literally save thousands in taxes each year. 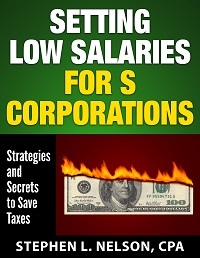 Using an S corporation for your business? To maximize savings, you need to minimize the salary paid to shareholders. But this decision is tricky.